More action is needed to address the devastating impact of prolonged conflicts on the mental health of children and young people, experts said at a conference yesterday. ‘Rebuilding Lives’ – hosted by the German Ministry for Economic Cooperation and Development, in partnership with UNICEF and with the participation of representatives from governments, United Nations agencies, humanitarian and civil society organizations – called for more support to programmes offering mental health and psychosocial services. Nearly 250 million children live in countries affected by violent conflicts, and an estimated 68 million people, half of them children, are displaced by conflict. 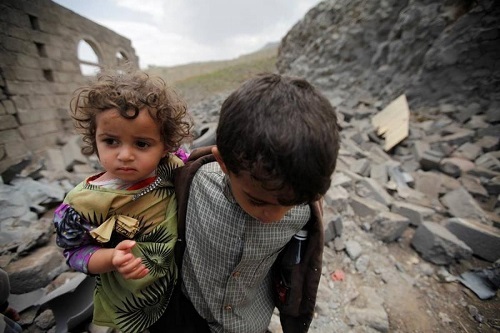 In crisis countries in the Middle East and Africa, the impact of violence poses a heavy burden for a whole generation of children and young people. It also results in the marginalization of vulnerable groups, such as those with pre-existing mental conditions, the elderly, or persons with disability. “Some of the things that children who are caught up in wars and crises see and experience remain with them and affect them for the rest of their lives. Our job is to give them back just a little bit of their childhood, in spite of everything. That is why the BMZ and UNICEF are working together to help hundreds of thousands of children in countries like South Sudan or in the crisis region around Syria by offering psychosocial support and programmes that are specially conceived for traumatised children. These children have a right to return to a normal life, with our help. 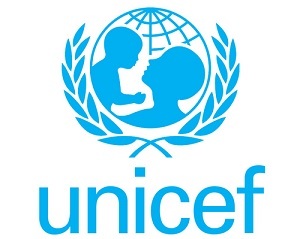 The work that UNICEF is doing is of inestimable value and the UN children’s organisation is an important partner for us,” said Gerd Müller, German Federal Minister for Economic Cooperation and Development. Families and caregivers who have experienced serious traumatic events cannot be overlooked. Some may require specialized attention before they can continue to meet the needs of children in their care. Participants in the conference called for collective action by policy makers, humanitarian and development agencies and academics to improve and scale up evidence-based and sustainable services, in support of the mental health and psychosocial wellbeing of children, young people and vulnerable groups. Existing community support networks, including parents, teachers, health and social service workers, and religious leaders, can play a critical role, they said. UNICEF aims to provide psychosocial support services to 3.9 million children and young people affected by emergencies this year in countries like Iraq, Jordan, Lebanon, Syria, Somalia and South Sudan. Community-based mental health and psychosocial activities, such as sport, art and games, promote safe, nurturing environments for children’s recovery, psychosocial wellbeing and protection. Additionally, UNICEF ensures coordinated care through the development of referral systems for children, youth and families who may be at risk or need more specialized mental health care. “As we witness an unprecedented number of complex and long-lasting humanitarian conflicts and crises, we can and must do more to prioritize the psychosocial needs of children and young people,” Fore said.